It's called Astrobot Voice, and it's more useful than I ever expected. Virtual assistants have been quick to invade our phones and our homes — is it any surprise that they're creeping into our email accounts, too? 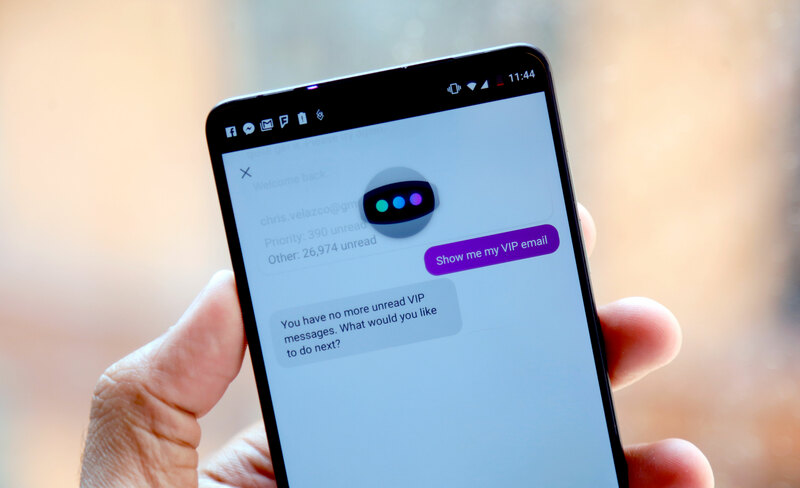 A startup called Astro built a chatbot (imaginatively named "Astrobot") into its email app earlier this year, and now it's taking things a step further: as part of a new update going live today, users can talk to Astrobot when they want to sift through their emails sans hands. Well, mostly: you can't invoke it with a wake-word like "Ok, Google." Once installed, you'll have to long-press the little Astrobot button that lives in your inbox. Then, you just gab away: asking if you have any emails prompts Astrobot to read through your most recent messages out loud, and telling it to archive, snooze or mark as unread worked consistently well. I've been testing the feature on iOS and Android for a few days now, and while I wouldn't call it a game-changer, it has definitely shaved a few minutes off of my morning routine. 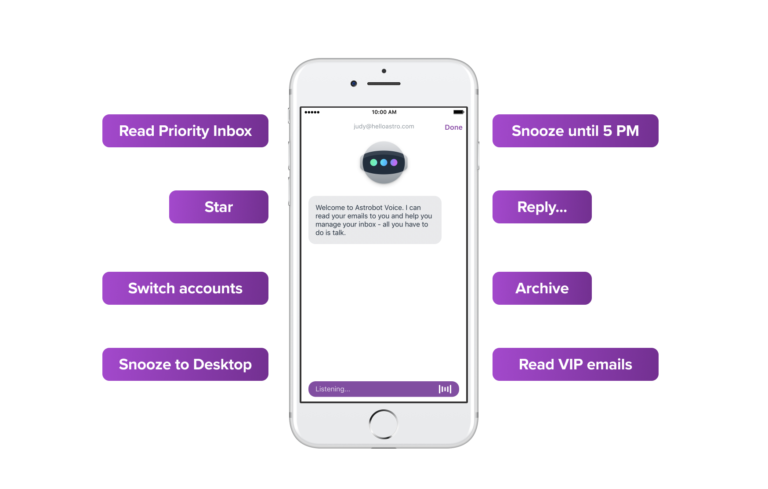 For me, the most valuable part of talking to Astrobot was being able to work with specific subsections of my inbox — say, emails that were routed into my priority inbox, or emails from people either I or Astrobot had previously flagged as VIPs. As you might imagine, a considerable chunk of the email that flows into my account each day is utter trash, and right out of the gate, Astro does a very good job figuring out which ones were worth completely ignoring. Astro's biggest selling point, though, is its ability to draw conclusions and modify its own behavior to treat certain emails as more important than others. The more you interact with specific people and the more you ignore others, the more nuanced Astro becomes. Over time, this came to be a sort of mild obsession: it was always a little fun firing up Astrobot to see who it thought it should ignore today. Given the hype around conversational assistants, it was only a matter of time before Astro CEO Andy Pflaum and his team wrapped those interactions up into a package worth talking to. Still, as useful as Astrobot is, I have to wonder whether the team's vision is sustainable over the long term. After all, Apple has a perfectly capable virtual assistant and a perfectly capable mobile email app. Ditto for Google. There's very little (short of some patent defenses) keeping a bigger player from executing what Astro does, and reaching many more people in the process. That said, Astro in its current state is such a smart alternative that I'd pay to see Pflaum and his crew continue to fight the good fight in the war on junk mail.